Lots of people came out Saturday from all over IB and SD.. youngest painter was a 3yo... very beautiful day on the estuary.. The Imperial Beach Arts Bureau (IBAB) started the beginning of mural painting along the Bayshore Bikeway at 7th Street on what is known as the "Flamingo Trail Path" to residents in the area. The public is invited to join them Saturday, April 14th and Sunday, April 15th in helping paint the mural. 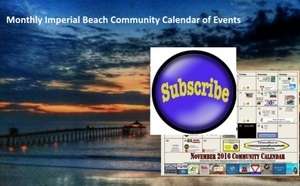 There are many more planned during the year for around Imperial Beach. If you are an artist and interested in getting involved with the IBAB, they meet the first and third Mondays at 6:30pm at Pier South.